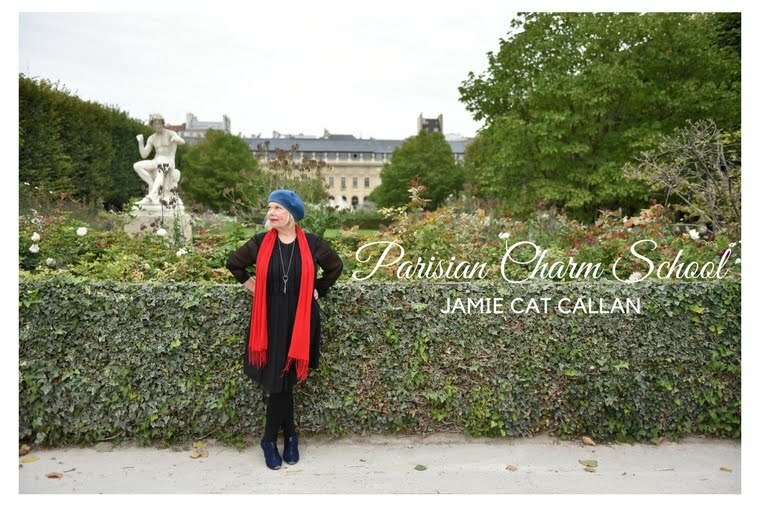 Jamie Cat Callan: French Women are Complex. While it's true, French Women do not always smile and laugh as freely as we do--they do express their feelings. Just look at the beautiful French actress Marion Cotillard. Even while laughing, she remains mysterious and very intriguing. So yes, French Women do express their emotions. I've seen my French girlfriends get passionate during a heated discussion on cinema and politics and even whether they'll order a créme caramel or a apple tartin for dessert. And, I've also seen French Women cry over a lost love. But these moments are special, because the French Woman doesn't give all her secrets away. She will smile slightly. She will look a bit wistful as she stares into some unknown distant future. Or she might simply look at you with only her eyes as if she is withholding some delicious tidbit of information that she's simply not in the mood to reveal, just yet. Do you also remain just a little bit mysterious? Intriguing? I'd love to hear from you! Merci beaucoup, mes amis! YES! Love it... :) Mysterious is my middle name...(I am a Scorpio, after all)... :)) Marion is so nuanced, isn't she? Brilliant. Thank you for your kind wishes, chere Jamie! !